This game is not that difficult, as long as you realize that the rules set up five distinct vertical blocks: GF, HF, GL, HL, and JL. Those five blocks, along with the rules that place some variables and create Not Laws for others, make the game quite manageable. The big downside is that there are only five questions, and thus this game, while relatively easy, doesn’t give you back much. Overall, this game provided a good start to the Logic Games section, and is one that most students should have dominated. The first three rules make this game appear that it might be a Sequencing game, but the remaining rules firmly establish this as a Basic Linear game. Some key inferences include that T must lecture first or second, S must lecture second or third, only W or Z can lecture seventh, and Y cannot lecture first. The last rule also features the infrequently appearing “if, but only if” double-arrow construction, and so students who understood how that conditional relationship functions had a distinct advantage here. Overall, this game isn’t that high on the difficulty scale, so through the first two games most people were feeling good. This game features three Numerical Distributions, but fortunately most of the questions limit the range of possible solutions, and using the sequencing rules then makes most of the questions relatively straightforward. The last rule is tricky, however, because it invokes the possibility of a “tie” in that S and H can be located in the same aisle (aisle 1 or 2). The most difficult question is probably #16, the only Global question in the game. Again, this game is not extremely difficult, and so the first three games should have gone well for most students. After three reasonable games, savvy test takers had to expect that something difficult was looming at the end. And indeed, after the exam many people were lamenting the appearance of the Zones game and extremely worried about how it affected their test performance. This is clearly the most difficult game on this test, and there are two points of difficulty in this game: first, the rules aren’t very clear about how many subzones can exist, and some students misread the scenario to imply that three subzones of each type were possible within each zone; second, there are a lot of numerical combinations for the subzones (that is, there are a lot of possible Numerical Distributions of subzones). However, students who really focused in on the third and fourth rules found that they helped knock out a number of incorrect answers, and made this game more acceptable (not easy, but acceptable). The good news here was that the section opened with three very doable games, and many students felt they were on their way to a record performance after completing the third game. The last game is confusing, and it is understandable as to why people would feel that this game was very hard. But unfortunately, the fact that this game appeared last made the game take on an outsized importance compared to the other games, and a lot of students walked away feeling that the whole section was tough just because the ending note was tough. That skewed their perceptions of their whole performance on the section, and caused some students to prematurely cancel. As a comparison, consider how much more difficult this section would actually have been if the fourth game had been placed first. Then, the negative echoes of that game would have carried through for the remaining three games, making them automatically seem harder. So, while the last game is hard and may be the thing people remembered, don’t forget that the game was offset by three easy preceding games. The takeaway is to never let just one game color your perceptions, and always consider overall difficulty when analyzing a section. Actually, the first game wasn’t a grouping game. It was actually an unbalanced advanced linear games. You mention the GF, HF, GL, HL, JL blocks, but you did not mention how to ascertain this information. For the most part the game was actually set up as a triple stack advanced linear with a plethora of dual options. I say it was unbalanced because of the amount of dual options the test taker needed to use. The reason it wasn’t a grouping game was because you couldn’t place any variable into a group. Knowing that something was an “F” didn’t lead you to know that it you would place it in the G category or H category being that there were two of each. If anything it maybe had a pattern element to it, but grouping is way to far of a stretch. The first game was also much harder than the zones game. The zones game was a simple unbalanced grouping game. Words don’t matter – conditions do. Thanks very much for the comment. Let me first politely disagree about the first game not being a Grouping game. This is an interesting point because it may highlight why this game seemed so difficult for you. You mention that the game is an Advanced Linear game, but where is the Linear component? Take a look at the scenario again before answering that question. While there are five students delivering speeches, at no point does the scenario state that those speeches are in order. Thus, no Linear aspect actually exists in the game. That “third” stack you reference I suspect is the numbers 1 through 5, but this game doesn’t contain that element. Instead, the five students are the base. These five student comprise five groups, and each group has a topic component–F or L–and a major component–G, H, or J (I think these two components are what made you see an Advanced Linear game that had stacks, and I understand that view). In referencing the five blocks, I didn’t go into detail because this isn’t a lengthy exposition of the game, but a light description of the section as a whole. However, since you ask about the blocks, let’s discuss them. Together, these form five blocks, which are then each assigned to one of the five student groups. Finally, Grouping games don’t require that initially any variables must be assigned to a group, but in this case, the third fourth, fifth, and sixth rules each assign a variable or remove a variable from a group. When this information is combined with the five blocks, the game is actually pretty manageable, and I’d argue strongly that it is easier than the fourth game. However, a misread of any game scenario will instantly make that game much harder. Please take a look at this game again without imposing the Linear element on it, and see if it isn’t a bit more manageable. Hi, I have a GPA of around 3.9. I was wondering what worst possible LSAT score can also get me into any of top 20 law school. That’s a difficult thing to predict–admissions at that level are about a lot more than just your numbers (although numbers are still paramount). 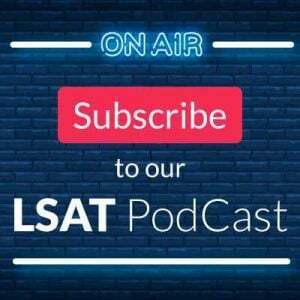 Given that your LSAT score is given more weight than your GPA, I would say that you probably want to have an LSAT score of at least a 168-169 to have a solid chance at some (certainly not all) of the top 20 schools–however, to really max things out you need to be in the 170s. Granted, T20s do admit students with numbers below what they typically accept, but those re few and far between, and you don’t want to depend on a fluke to get you in. Don’t forget that much of your chances will also depend on your grade trend, résumé, letters of recommendation, and personal statement. 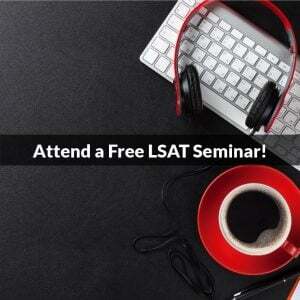 Don’t focus solely on numbers, and aim to have an LSAT score in the high 98th or 99th percentile. Good luck! That’s a difficult thing to predict–admissions at that level are about a lot more than just your numbers (although numbers are still paramount). 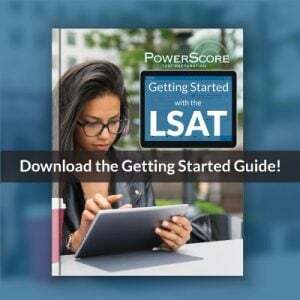 Given that your LSAT score is given more weight than your GPA, I would say that you probably want to have an LSAT score of at least a 168-169 to have a solid chance at some (certainly not all) of the top 20 schools–however, to really max things out you need to be in the 170s. Granted, T20s do admit students with numbers below what they typically accept, but those are few and far between, and you don’t want to depend on a fluke to get you in.